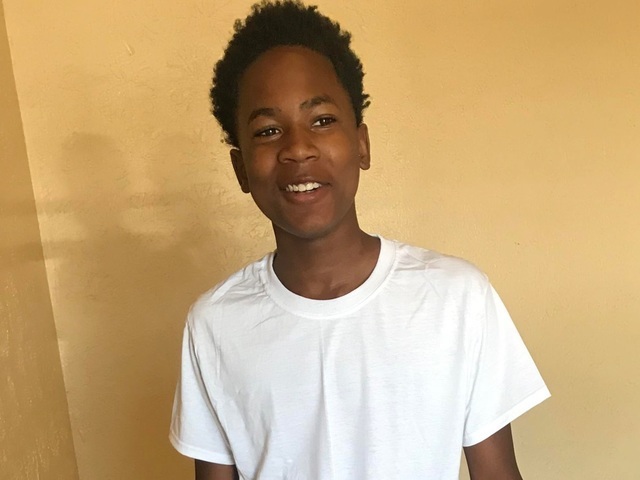 CINCINNATI -- Authorities have arrested and charged a 13-year-old boy in the shooting death of a 14-year-old in Mount Auburn. The boy is facing charges of reckless homicide, having weapons under disability and tampering with evidence in the death of Surrell Gaines. WCPO is not naming the boy because of his age. On Friday, the teen suspect entered a plea of denial at his arraignment in Hamilton County Juvenile Court. 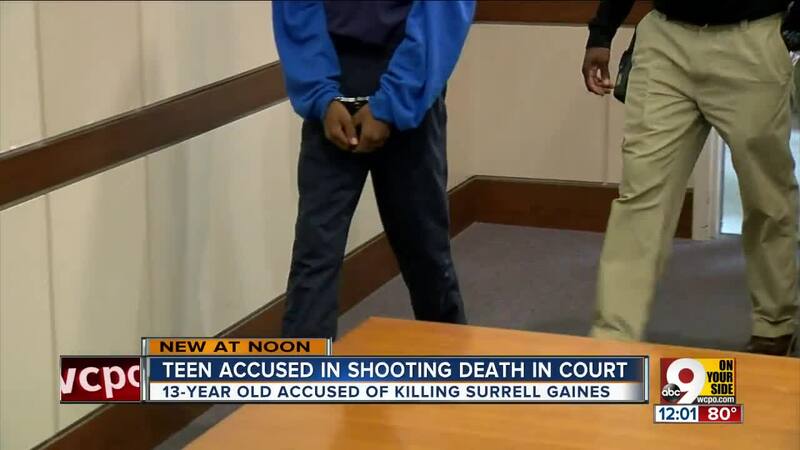 Court officials said the suspect's case will remain in juvenile court. According to the Ohio State Bar Association , a child can only be tried as an adult if the child was at least 14-years-old at the time of the offense. The suspect just turned 13-years-old in May. Magistrate Mary Schulcz ordered the teen to remain in the county's custody without bond. According to court documents, the teen has had 13 prior and unrelated contacts with the juvenile court system. Surrell was shot dead on Vine Street near his Mount Auburn at about 5 p.m. on July 30. His father, Rodrick Gaines, said he had wanted Surrell to go to college. The teen had been preparing for his first year at Hughes STEM High School. But Surrell's mother, Tammy Smith, said she "knew it was going to happen." She said Surrell had fallen in with a dangerous crowd as he moved from elementary to middle school and that he didn't listen when she pleaded with him to make different decisions. "I told him what I saw coming and he didn't listen, so this is the result of not listening," Smith said. The teen suspect is scheduled to be back in court on Aug. 21 at 9 a.m.
Police asked anyone with information about the case to call the Criminal Investigation Section at 513-352-3542 or Crime Stoppers at 513-352-3040.